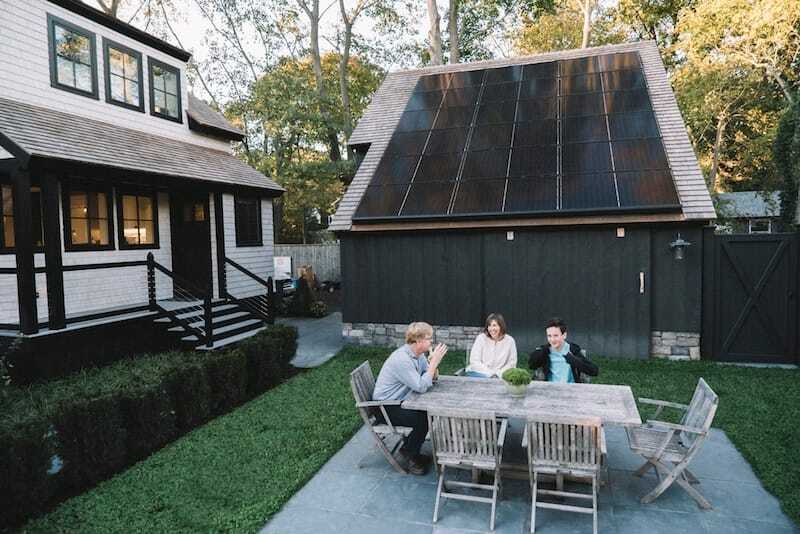 On the 40th season of This Old House (episodes 10 & 12), Vivint Solar had the opportunity to participate in Don and Dana Powers’ journey to redefine their lives — a process that required them to change not just where they lived, but how. For the Powers family, reducing their impact on the environment and saving money with solar was worth the effort to become net-zero. A “net-zero” home uses only as much energy as it produces, which means that the people in the house can enjoy all the energy they need without having a negative impact on the environment. For many, going net-zero is an ideal rather than something that’s realistically achievable. As an architect of his own firm, Don advocates the importance of communities built on responsible and sustainable practices. He decided to demonstrate just how easily net-zero can be achieved, and the first step was to find their new home. Picking their dream location wasn't difficult. For years, they enjoyed a beach house in Jamestown, Rhode Island where they spent weekends by the ocean. They decided they wanted it to be more than a vacation spot, so they began shopping for a net-zero worthy house in the area. Luckily, Don’s years of architectural experience opened up a lot of possibilities. They found a one-hundred-year-old cottage in need of extensive renovations, which was the perfect canvas for Don’s talents. They made an offer and bought the home, but it wasn’t net-zero ready. There are three important steps to living a net-zero life. At just one thousand square feet, Don and Dana wanted to expand the house to better fit their family of four but also wanted to add the technology that would turn their humble cottage into a net-zero home. To do this, Don expanded the foundation, paying special attention to the makeup of the new and old structures to make them as energy efficient as possible while retaining the aesthetic of the community. He was able to achieve most of this with a variety of insulating foams but took it a step further by utilizing a new air-sealing technology that seeks out any hidden leaks. The technology works by pressurizing the house, then spraying atomized glue into the air. The glue is drawn towards any holes, then drys over them to seal the openings, which dramatically lowers the amount of escaping air and improves the efficiency of the home. Amazingly, the whole process takes less than an hour. To become truly net-zero, the Powers’ needed a clean power production system. 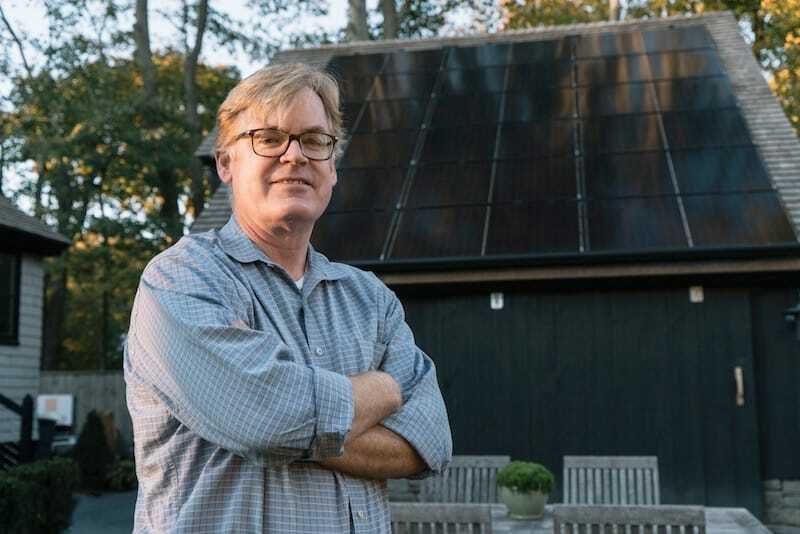 Don turned to solar power to find a solution that was both functional and attractive. At Vivint Solar, we knew this was the perfect opportunity to share the message of clean solar energy, so we volunteered to help Don reach his goal of a net-zero home that was both beautiful and cost-efficient. The Powers family constructed a post-and-beam barn in their backyard to house their new solar panel system and let Vivint Solar take it from there. On the southern slope of the barn’s roof, our technicians installed Photovoltaic panels to capture the sun's energy during the brightest and most efficient hours of the day. The installation was followed by an 86 point inspection to ensure it works as effectively for the Power’s family as possible so they can enjoy all the benefits of clean energy without any extra effort. With the help of modern home-building techniques, Don and Dana Powers were able to demonstrate that a comfortable net-zero lifestyle is possible. Our powerful solar energy systems can generate all the electricity the Powers’ home needs at no extra cost to themselves or the environment. And by contributing to the overall health of the planet, they can live comfortably knowing that they are doing something that will benefit themselves, their children, and the community as a whole. We’re excited to have been a part of that process and to share the message that a simple choice can make a world of change.